Q. Where can I find a master’s thesis written by a CSUN graduate student? Most recent CSUN theses are freely available online at scholarworks.csun.edu. Oviatt Library has print copies of all CSUN master’s theses. 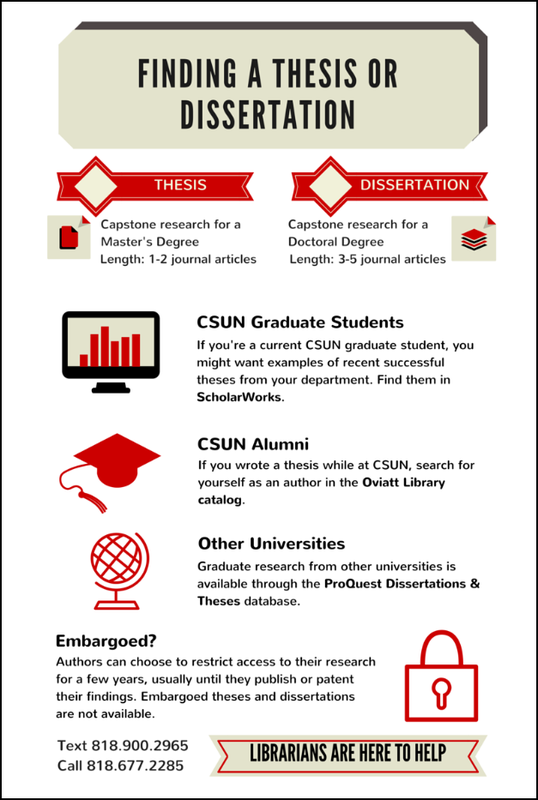 You can find them by the subject Dissertations, Academic -- CSUN in OneSearch.